Dogs can be our closest companions – in the United States, over 36% of households own at least one dog. Dogs have been proven to decrease stress, increase our exercise levels, and are playmates for children. But sometimes man’s best friend will bite. Wash the wound thoroughly with soap and water if the injury is minor. In addition, apply antibiotic cream and cover the wound with a clean bandage. See a healthcare provider. This is especially important if the wound is deep, has become red. Painful, warm, or swollen, and if you have developed a fever after the bite. Also, seek professional care if the dog that bit you is behaving strangely or if it has been 5 years since your last tetanus shot. Report the Bite. Consider contacting a local animal control agency if you are unfamiliar with the dog and the owner is not available to you or if the dog is behaving strangely. Anyone who is bitten is at risk of getting rabies so take the necessary preventative measures. If you are able to contact the owner please do so to ensure the dog is fully vaccinated. You will need the rabies vaccine license number, the name of the veterinarian who administered the vaccine, and the owner’s name, address, and phone number. 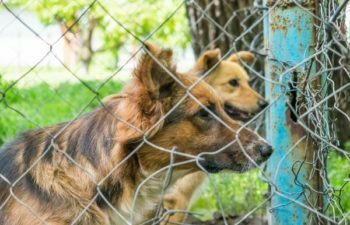 Strict Liability for Dog Bites in Florida. These laws say that the dog owner is liable for any injuries his or her dog causes. This includes if the owner had no prior knowledge or warning that the dog might bite. The injured person does not even have to prove that a lack of reasonable care caused the bite. Florida Dog Bites Under Negligence. In addition to strict liability laws, you can also file a suit on the grounds of negligence. Every state has some form or another of negligence law. Most dog bites occur under this statute, for example, if the dog was off of its leash, thus violating local leash law. Always Ask Permission. Always ask permission from the dog’s owner before interacting with a dog. If a dog comes up to you just remain still until receiving confirmation from the owner that the dog is safe to interact with. Allow a Sniff. Do not pet a dog without allowing it to sniff you first. Consider it a friendly hello! Don’t Panic. If you are approached by a strange dog do not panic! Panicking, running, or making loud noises could encourage the dog to continue pursuing you. Be calm, be still, say “No” in a firm voice and wait for the owner or for the dog to lose interest. If you have been injured by a dog bite and need legal assistance, Call Me on My Cell! Reach out at 813-254-7119 or visit www.CallMeOnMyCell.com!